Hi Everyone! It's Ruby Tuesday again! Here's a photo of a lovely place for lunch. Of course I'll write "RUBY TUESDAY" on the badge like our "ruby slippers" badge. Of course if you like the old badge, the "ruby slippers" badge, tell me, and we'll keep the old one! Love the pub. I could hang out there. Long as they've got NHL Center Ice that is. It's the playoffs after all. Ruby Tuesday #35: "Let's Go Canes!" lOOKS like my kind of place. a burger and a couple of beers, and lots of conversation. I love all of them especially the number 1. What a great looking restaurant! Is the restaurant French or is it just a name? What a nice looking place to meet for food... a pretty name and looking at the menu, it looks quite scrumptious. What I love are brunches and it looks like some really good choices... the banana cinnamon pancakes sound yummy! I'm a HUGE fan of pancakes! Interesting restaurant! Bet they have great desserts. Thanks for your recent comments. As for the glider, sometimes we can see the release, but more often hear it. The tow plane's engine is working hard and when it releases, the change is noticeable. Brunch sounds good. For example, the onion tart. Nice menu designer. 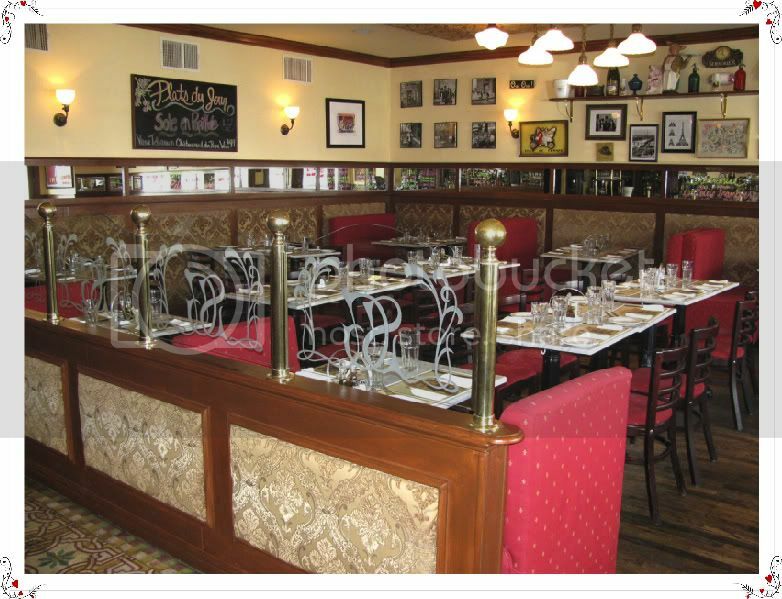 Great looking bistro! That place looks very inviting! What a nice restaurant! I like very much red decoration inside pubs and restaurants! Lotsa red in that restaurant, looks good for a gathering among good friends and family. Happy RT, #1 looks good. I would love to come along ;)! My favorite choice is the first badge, but I also like the old one. Have a great week, everyone. What a quaint lil restaurant, very pretty. Nice restaurant and I love the name of it. The badges are all nice but I really prefer the ruby slippers. I too would like to come along with you, looks like a great place to gather with friends. As for the badge, #1 is my favorite, but I also really like the slippers. Wow cute red stuff for the badge. I like # 3. Hi! I'd love to join you for lunch there, looks like a very cute place! My entry takes care of the libations! I like the possible badges, but I prefer the Ruby Slippers! I love the place...seems too cozy for dining. This looks like a lovely place to have lunch! I love the red in it. My post is related to culinary too. I'm posting photos of pretty ginger flowers that can be eaten. Tasty colours at Framboise! C'est tres belle! Great reds here...enjoyed seeing them. I kind of like Nos. 2 or 4. No one looks too much like a wedding gone bad. By the way, the photos are great. #4 - THE DRAGON. THE DRAGON. So Unique!! What a lovely place for lunch. This could definitely become my special place to go when there is an event to celebrate. I like the old badge, but if you're going to change it, I like #3. Please, no animated badges! Love that restaurant - looks like a comfy place. Mary, these are all beautiful, but the fist one made me gasp with delight! The restaurant looks nice with the red decor! # 1 badge look nice! Very nice place, looks very European, -:) ! I like n° 3 simply red ! Raspberries are definitely my favourite. Infinitely superior to strawberries......ghosts of granny I'm afraid. The sparkly one ... is just over the top. Nice! What vibrant colors! Lovely photos. Forgot to say that I like #2 best but they are all lovely. That restaurant looks very inviting, beginning with its name! All badges are beautiful, can't decide, sorry I am not helpful, lol. Hi Mary, Your Ruby Tuesday is gorgeous. I love the Restaurant, it looks very inviting. The menu reads like the food would be delicious too. I like #1, would it be possible to have more than one button to choose from? Sorry I put the wrong link in Mr. Linky. I like the Ruby Slippers. They are so cheerful and very "Over the Rainbowish". 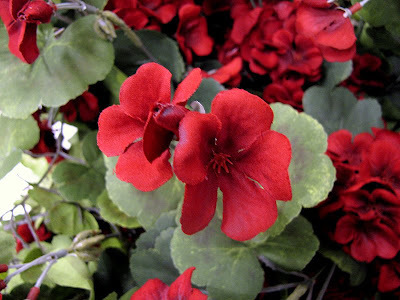 Simple Pelargonium like the ones I have on my terrace. The restaurant looked so inviting. I'd like to spend a like time with a rich meal there. Now I'm out for spring hiking. No time to sit in front of my computer until tonight. Have a shining Ruby Tuesday. 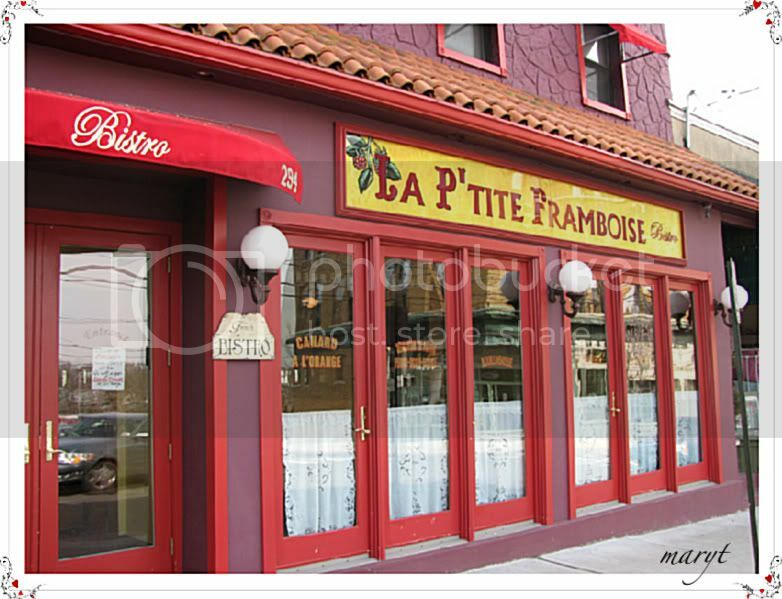 La P'tite Framboise sounds such a sweet, boutique dining experience on offer! Would I like to come along? Of course! Love the atmosphere! And the front of this lovely place is certainly eye-catching! * And I like #1 RT candidate best! Mary, all of your badges are lovely. I like the twinkles in the first one. But I think the ruby slippers are more appropriate. I guess growing up with Dorothy and the land of Oz just makes the slippers always ruby where the roses are just red. I also love your red restaurant. Looks like a fun place to meet a group. I like #3 or the old one. Not much into the sparkles. Looks like a very nice restaurant. We have so little to chose from here. I would be so excited to go there. Lovely name for a restaurant - I love rasberries (no time to scan the menu right now). I agree with Rita - to me, slippers are ruby, roses are red. Of course I'm terribly lazy about using the badge anyway, so you should probably just discount my view ;-). PS In case I didn't mention it, thank you for the beautiful Passover card. I think I've been to the Little Raspberry, looks so familiar - it's near the North Shore Animal League? Hi Mary, My favorite is number 3. That restaurant looks wonderful. I'm ready to try it out. The restaurant looks very inviting! Comfy and homey! I think I like #4 the best. Have a great day!! I would love to eat there, the ambiance looks amazing (the first good ingredient to any meal)perfect choice to start RT off with this week! I haven't played in a while so I'm not sure my vote will count, but I love the Ruby Slippers badge. I love the petite raspberry - what a great name for a little restaurant! And they've done it up so well. Mine is two shots of the same red phonebooth in London for today's RT. 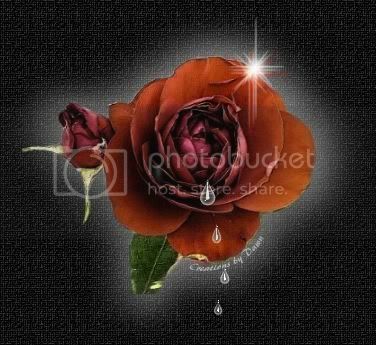 And I have to admit - I just use the simple word badge "Ruby Tuesday" with my posts. 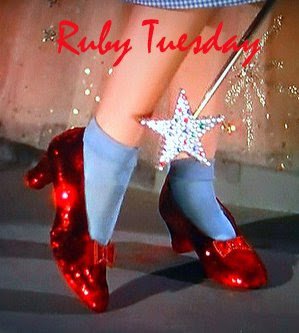 I still like the ruby slippers the best :o) Oh and yes, I would love to come to Little Raspberry. I have a Earth Day post scheduled for tomorrow so I will post my first window next week. I'm loving that resto...the color draws me in. My first entry is up. Thanks! great place to eat, so cheery..number 1 for me. Personally I like the ruby slippers, but if we have to change, I like #4 the best. Your bistro shot is great. I'd love to eat there. My photo is up here. Let's have lunch! Actually I'll be in NYC in a couple of weeks and if I'm in Port Washington I'll look for that place. Nice capture! I vote for number 1, but I'm not sure that anything can be more magical than those ruby slippers. What a lovely diner. Love the rich reds. Thank you for sharing. I like number 3 too. Sometimes a change is nice for a while, but I hope we can go back to the Ruby Slippers sometimes, if you do decide to change! Love your Ruby Red photo- it looks a very inviting place to eat! If you go, you could send us titbits to sample in the post! My Ruby Red is up, but later than I wanted and only just in time. I'll be visiting some of yours tomorrow! oh mary t..the restaurant pictures are so nice! I'm all over that brunch menu! LOL! sorry for the super late entry - have been busy at work. hope you're all having a superb week and i wish you an even better weekend! the bistro looks nice, both inside and out. wouldn't mind dining there with all that red around. a glas of redvine to drink, please.